35001701 LX20 HITACHI LX20 wheel loader. Spare Parts Catalog. Service (workshop) Manual. Operator's Instruction Manual. 35001702 LX30 HITACHI LX30 wheel loader. Spare Parts Catalog. Service (workshop) Manual. Operator's Instruction Manual. 35001703 LX70 HITACHI LX70 wheel loader. Spare Parts Catalog. Service (workshop) Manual. Operator's Instruction Manual. 35001704 LX80 HITACHI LX80 wheel loader. Spare Parts Catalog. Service (workshop) Manual. Operator's Instruction Manual. 35001705 LX100 HITACHI LX100 wheel loader. Spare Parts Catalog. Service (workshop) Manual. Operator's Instruction Manual. 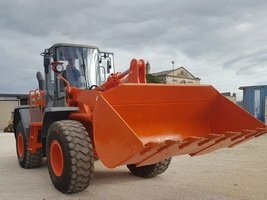 35001706 LX150 HITACHI LX150 wheel loader. Spare Parts Catalog. Service (workshop) Manual. Operator's Instruction Manual. 35001707 LX170E HITACHI LX170E wheel loader. Spare Parts Catalog. Service (workshop) Manual. Operator's Instruction Manual. 35001708 LX200 HITACHI LX200 wheel loader. Spare Parts Catalog. Service (workshop) Manual. Operator's Instruction Manual. 35001709 LX210E HITACHI LX210E wheel loader. Spare Parts Catalog. Service (workshop) Manual. Operator's Instruction Manual. 35001710 LX290E HITACHI LX290E wheel loader. Spare Parts Catalog. Service (workshop) Manual. Operator's Instruction Manual. 35001711 LX360E HITACHI LX360E wheel loader. Spare Parts Catalog. Service (workshop) Manual. Operator's Instruction Manual. 35001712 LX50-2C HITACHI LX50-2C wheel loader. Spare Parts Catalog. Service (workshop) Manual. Operator's Instruction Manual. 35001713 LX70-2 HITACHI LX70-2 wheel loader. Spare Parts Catalog. Service (workshop) Manual. Operator's Instruction Manual. 35001714 LX70-2C HITACHI LX70-2C wheel loader. Spare Parts Catalog. Service (workshop) Manual. Operator's Instruction Manual. 35001715 LX80-2 HITACHI LX80-2 wheel loader. Spare Parts Catalog. Service (workshop) Manual. Operator's Instruction Manual. 35001716 LX80-2C HITACHI LX80-2C wheel loader. Spare Parts Catalog. Service (workshop) Manual. Operator's Instruction Manual. 35001717 LX80 - 2 - M HITACHI LX80-2-M wheel loader. Spare Parts Catalog. Service (workshop) Manual. Operator's Instruction Manual. 35001718 LX80RS - 2 HITACHI LX80RS-2 wheel loader. Spare Parts Catalog. Service (workshop) Manual. Operator's Instruction Manual. 35001719 LX100-2 HITACHI LX100-2 wheel loader. Spare Parts Catalog. Service (workshop) Manual. Operator's Instruction Manual. 35001720 LX120-2 HITACHI LX120-2 wheel loader. Spare Parts Catalog. Service (workshop) Manual. Operator's Instruction Manual. 35001721 LX150-2 HITACHI LX150-2 wheel loader. Spare Parts Catalog. Service (workshop) Manual. Operator's Instruction Manual. 35001722 LX100-3 HITACHI LX100-3 wheel loader. Spare Parts Catalog. Service (workshop) Manual. Operator's Instruction Manual. 35001723 LX120-3 HITACHI LX120-3 wheel loader. Spare Parts Catalog. Service (workshop) Manual. Operator's Instruction Manual. 35001724 LX150-3 HITACHI LX150-3 wheel loader. Spare Parts Catalog. Service (workshop) Manual. Operator's Instruction Manual. 35001725 LX230-3 HITACHI LX230-3 wheel loader. Spare Parts Catalog. Service (workshop) Manual. Operator's Instruction Manual. 35001726 LX70-5 HITACHI LX70-5 wheel loader. Spare Parts Catalog. Service (workshop) Manual. Operator's Instruction Manual. 35001727 LX80-5 HITACHI LX80-5 wheel loader. Spare Parts Catalog. Service (workshop) Manual. Operator's Instruction Manual. 35001728 LX100-5 HITACHI LX100-5 wheel loader. Spare Parts Catalog. Service (workshop) Manual. Operator's Instruction Manual. 35001729 LX120-5 HITACHI LX120-5 wheel loader. Spare Parts Catalog. Service (workshop) Manual. Operator's Instruction Manual. 35001730 LX150-5 HITACHI LX150-5 wheel loader. Spare Parts Catalog. Service (workshop) Manual. Operator's Instruction Manual. 35001731 LX230-5 HITACHI LX230-5 wheel loader. Spare Parts Catalog. Service (workshop) Manual. Operator's Instruction Manual. 35001732 LX15-7 HITACHI LX15-7 wheel loader. Spare Parts Catalog. Service (workshop) Manual. Operator's Instruction Manual. 35001733 LX15SL - 7 HITACHI LX15SL-7 wheel loader. Spare Parts Catalog. Service (workshop) Manual. Operator's Instruction Manual. 35001734 LX20-7 HITACHI LX20-7 wheel loader. Spare Parts Catalog. Service (workshop) Manual. Operator's Instruction Manual. 35001735 LX20SL - 7 HITACHI LX20SL-7 wheel loader. Spare Parts Catalog. Service (workshop) Manual. Operator's Instruction Manual. 35001736 LX30-7 HITACHI LX30-7 wheel loader. Spare Parts Catalog. Service (workshop) Manual. Operator's Instruction Manual. 35001737 LX40-7 HITACHI LX40-7 wheel loader. Spare Parts Catalog. Service (workshop) Manual. Operator's Instruction Manual. 35001738 LX50-7 HITACHI LX50-7 wheel loader. Spare Parts Catalog. Service (workshop) Manual. Operator's Instruction Manual. 35001739 LX60-7 HITACHI LX60-7 wheel loader. Spare Parts Catalog. Service (workshop) Manual. Operator's Instruction Manual. 35001740 LX70-7 HITACHI LX70-7 wheel loader. Spare Parts Catalog. Service (workshop) Manual. Operator's Instruction Manual. 35001741 LX80-7 HITACHI LX80-7 wheel loader. Spare Parts Catalog. Service (workshop) Manual. Operator's Instruction Manual. 35001742 LX100-7 HITACHI LX100-7 wheel loader. Spare Parts Catalog. Service (workshop) Manual. Operator's Instruction Manual. 35001743 LX110-7 HITACHI LX110-7 wheel loader. Spare Parts Catalog. Service (workshop) Manual. Operator's Instruction Manual. 35001744 LX130-7 HITACHI LX130-7 wheel loader. Spare Parts Catalog. Service (workshop) Manual. Operator's Instruction Manual. 35001745 LX160-7 HITACHI LX160-7 wheel loader. Spare Parts Catalog. Service (workshop) Manual. Operator's Instruction Manual. 35001746 LX190-7 HITACHI LX190-7 wheel loader. Spare Parts Catalog. Service (workshop) Manual. Operator's Instruction Manual. 35001747 LX230-7 HITACHI LX230-7 wheel loader. Spare Parts Catalog. Service (workshop) Manual. Operator's Instruction Manual. 35001748 LX300-7 HITACHI LX300-7 wheel loader. Spare Parts Catalog. Service (workshop) Manual. Operator's Instruction Manual. 35001749 LX450-7 HITACHI LX450-7 wheel loader. Spare Parts Catalog. Service (workshop) Manual. Operator's Instruction Manual.